Camo has never looked this good! 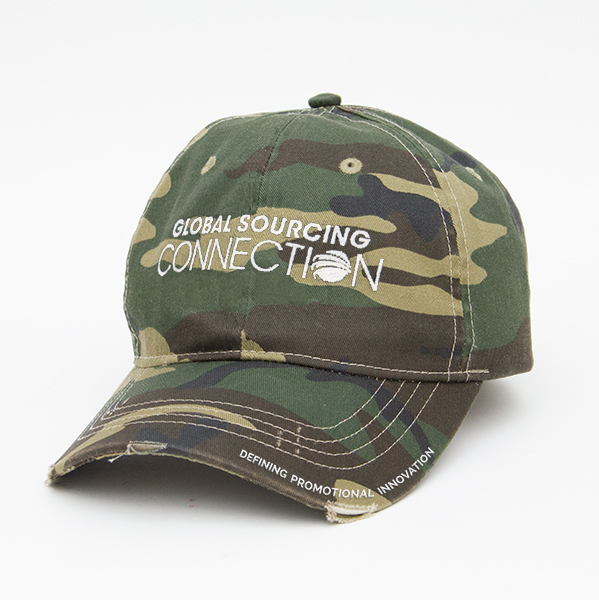 Featuring a non-licensed military camo, this cap features a distressed bill, matching eyelets and button, and a Velcro® closure. 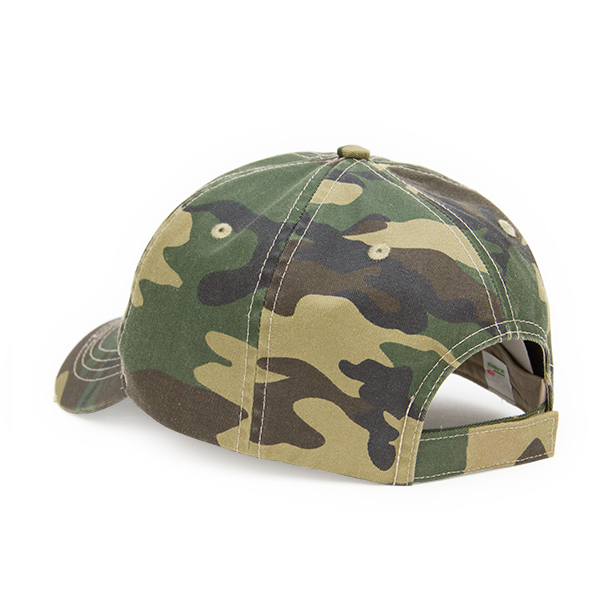 As well, this cap is decorated with white embroidery on the front panel and matching white embroidered lettering on the bill.